Garth Crooks is a former professional Soccer player who had a fine career playing for a number of top flight sides. These include sides such as Tottenham Hotspur, West Bromwich Albion, Stoke City, Manchester United and Charlton Athletic. As well as his on pitch antics, Garth was also proudly elected as the first ever black chairman of the Professional Soccerers’ Association union having been an active member of it all throughout his playing career. He relinquished the role at the same time as retiring from playing in 1990. After leaving the game behind, Garth has become a prominent Soccer pundit and commentator. 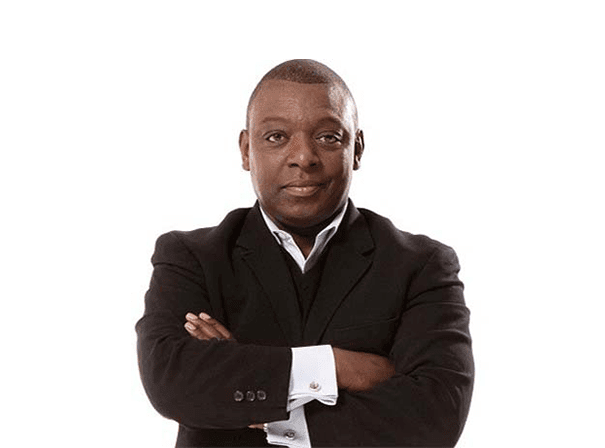 Most often working on the BBC and Saturday shows like Soccer Focus, plus Final Score and as a stand in on Match of the Day, Garth Crooks truly offers a real and rare insight and does so with real honesty. Garth has also been chief reporter at things like the England camp at Euro 2000 and the 2002 World Cup, whilst during the late 1990s he was presenter of the political television show Despatch Box. For his long time dedication and services to the sport, Garth was honoured by the Queen with an OBE in the New Year’s Honours list. As such he is a great sporting star to have as brand ambassador, guess on a TV show, host on radio or to present an award at a sporting or charity function as well as to deliver after dinner speeches to a range of corporate, business or young audiences. Would you like to receive exclusive information about our new signings, tours and rosters? We only send you information that you tell us is relevant, and won't share your email with anyone else. By submitting this form, you consent to us using the details you provide to respond to your enquiry. A backup of these details will be held, but can only be accessed by authorised individuals. If you would like your data to be removed from our backups, please email info@mn2s.com. Haven’t found what you are looking for? International tours for some of the world's most successful event brands. Well-known personalities to DJ at club nights, private parties and corporate events. Our DJ roster includes both internationally acclaimed and up-and-coming talent. A diverse range of established and up-and-coming musicians, vocalists and bands. Celebrity personalities from the worlds of sport, media, fashion and entertainment. Sign up to get exclusive information about our new signings, tours, rosters and labels. We only send you information that you tell us is relevant, and won’t share your email with anyone else.